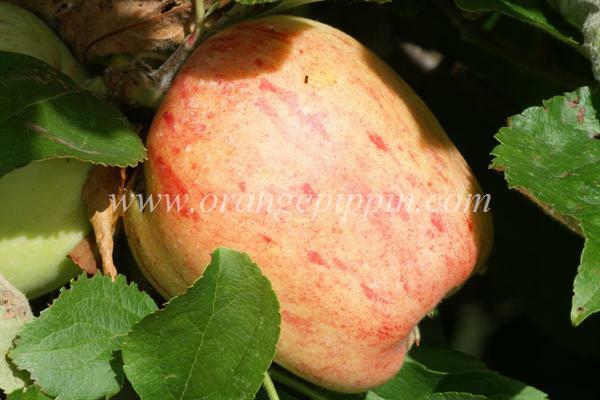 Medium to large fruit smooth, yellowish or greenish-white skin striped with crimson. Flesh juicy, mildly subacid, aromatic with a hint of strawberries. Skin smooth and tough. Pick when skin starts to turn milky. We have 1/2 of a tree grafted with this apple that is +60 yrs old. Yes, it is a very fussy apple, only good for sauce and eating with a soft, smooth texture. But we can start harvest of ours in late July-early Aug and must pick every few days to get them before rotting on the tree. It does not keep well even in refrigeration. Best tasting apple for hand eating I've ever had, but the skins can be leathery and tannic on fruit from poorly cared for trees. The trees themselves are delicate and fussy, but a fresh, well grown apple from one is a genuinely eye-opening experience. The best apple for pie! It is very tender and never tough or undercooked. Yes, they mumify on the tree, but are worth the attractive fruit so prized. These trees are not worth the hassle. 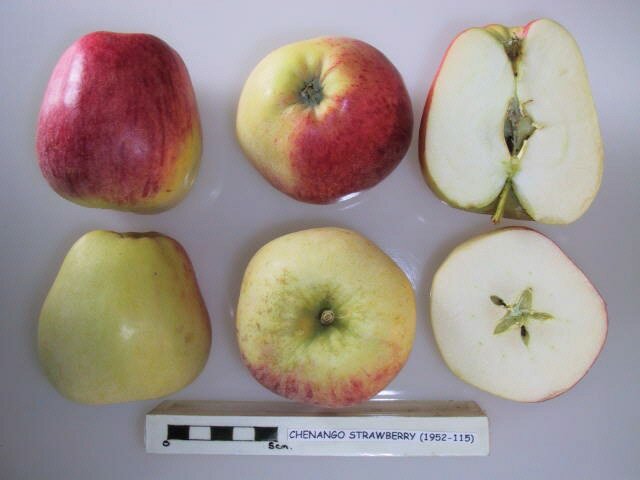 They have are average tasting (there is a sharpness to them), and are a pain to harvest. These apples will rot and mummify on the tree before they are ripe so must be picked early, but also don't last. Still trying to get a decent crop.